You may have recently read my a4u Expo London 2009 preview which I wrote after I managed to secure a ticket (rather luckily) in a competition over at Kieron Donoghue’s blog called here.org.uk — well I’m now back home after attending the event at ExCel conference centre in London’s Docklands and I can now report back on what was my first multi-day web-related / affiliate marketing conference. The only other conferences that I’ve attended for the online marketing industry have been the Think Visibility conferences that have been run in the relatively local location of Leeds, so I was expecting a4u Expo London 2009 to be somewhat different not only given its size but also the fact that it’s more focussed around online affiliate marketing. However, as I was to find, these days that also involves a lot of work in terms of analytics, social media, generating useful and unique content for visitors and ensuring that your website is optimally set up for search engine optimisation – all interesting stuff! 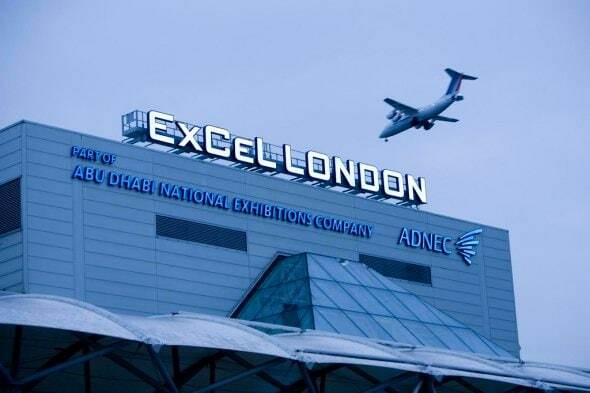 The choice of venue seemed to work very well, the ExCel conference centre is obviously a “well-oiled machine” when it comes to hosting a variety of conferences and exhibitions. Despite there being large numbers of people at the event, there weren’t really any times where you felt it was too crowded to be able to move or speak to people. The sessions themselves were spread across three main conference rooms, each of which was pretty much large enough to accommodate all the attendees for each session and had all the necessary technology at hand for the whatever was required, including people running around with microphones for the Q&A segments – the only strange thing with regard to the facilities were the ill-timed automated announcements that occasionally occurred, but everyone seemed to take those in good humour, so it wasn’t a great issue. With regard to the food on offer for lunch, I found it quite refreshing to be served up ‘a warm meal in a box’ on both days (the large pizza we each got on the second day was particular welcome!) instead of the usual boring buffet you normally get, but this way of doing things made it easy to carry around should you wanted to finish it off while attending one of the lunchtime sessions or have a look around the expo hall. Around the ExCel centre, you are also literally spoilt for choice for the additional facilities, whether it’s finding somewhere to grab a coffee/sandwich or heading to the local 2-storey bar called “The Fox”. There’s also a variety of hotels on offer within around 5 minutes walking distance from the venue, so you don’t need to be getting up too early to ensure that you can make it to the event for the first session of the day…especially welcome if you’re nursing a hangover from the night before! Just one thing I would say is that if you’re arriving in London at Kings Cross station as I did, I’d perhaps avoid taking the London Underground next time as it took me around 90mins to get to my hotel, whereas it’s only around 30mins in a taxi – on the way home, I opted for the taxi option despite the additional cost! This was the first session of the first day for me and as always, not only is Dave great value as a personality during his talks, but he also gives out a lot of good information, I made a lot of notes from his sessions during the course of the event. In the Search Engine session he even made an impromptu appearance as a would-be Yahoo employee at the last minute when there was no Yahoo person in attendance at the event – how did he fill his segment? He told us how you could get links from Flickr by commenting, unfortunately once that information hit Twitter, Yahoo had closed that loophole by the end of the day, but good fun all the same! Well, you know that you’re at a high profile conference when Google sends not one, not two, but three of their engineers along to speak in a site clinic session. I’ve seen a couple of videos of these kinds of sessions on the Internet, usually with Matt Cutts, so it was good to actually attend one for myself and see what the Google guys were saying in terms of best practice for the sites submitted for evaluation and advice. This was the last session of the first day, but no-one was flagging here, it was full of energy and pace, especially how it started out with Dom, whose exploits on Twitter and other social media you could easily listen to for at least an hour, somebody should follow this guy around with a camera is all I’ll say! Naomi also gave an impressive talk on how the online gift retailer; Firebox has utilised Twitter to communicate and help its customers, one example is by giving out short-term voucher codes that can be used by their followers, for instance like the one that we wrote about earlier in the year 20% off until the end of the day – who wouldn’t admit that’s a real benefit of following a company on Twitter! Everyone wants to know the secrets of getting some good links to your websites and these guys gave some great advice on how you can go about writing content that people will want to link to and tell others about – this session was the first on the second day and for the people who managed to get up for it after the previous night’s festivities, this was definitely worthwhile in attending! Right well I have a confession to make first of all…I’m kind of a stats junkie, so having the chance to go an analytics session was a no-brainer for me – lots of good tips were given which means I’ve got lots more things to try out and research more now I’m back home. The only problem with this session? It was too short! I could easily have listened to these speakers for an hour each, but maybe that’s just me being an #analyticsaddict! Next time, more cool analytics people like these, please! This was one of the lunchtime sessions on offer to us and I must say that I’m pleased that I went along! Gillian was full of energy as a speaker and took some examples from members of the audience to show how you can take your existing business and products and ‘spin them off’ into new businesses or markets. This session was entirely put over to allowing the audience to ask their questions to these highly experienced affiliates anything they wanted, as often is the case, questions were a little slow to get going, to begin with, but Kieron also allowed questions via Twitter which certainly helped as well. Lots of useful information came out of this session! The actual exhibition hall was perhaps the one area I didn’t look round as fully as I’d wanted to, perhaps because it was possible to bypass it entirely in moving between sessions as I found I was doing. However, on the few occasions I purposefully investigated the exhibition, I did find that it was a good way of saying hello and meeting up with some affiliate networks who you might normally only communicate via email, especially in the case of Buy.at who also gave me some free beer, which is always a welcome thing! With regard to the a4u Expo networking opportunities/events, it was a bit of a mixed bag really. The first night’s Breakout Party at the O2 Arena was essentially in a dark nightclub, quite crowded with loud music – not the best of environments to be honest with you, the free beer ran out quite early by all accounts, incidentally around the time a bunch of us headed off back to the hotels for further drinks and networking in a quieter place. A shame as I hadn’t been to the O2 Arena before, but it seemed a decent venue as a whole and I did have an enjoyable meal with a group of around 15 SEO people in Pizza Express before heading to the Breakout Party, so it was still worthwhile going! 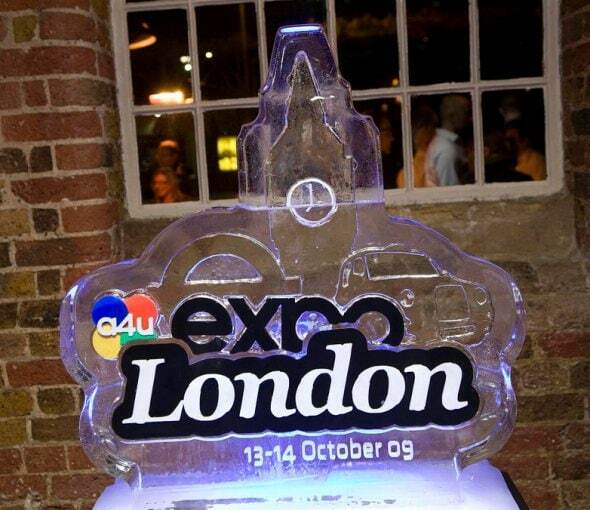 However the second evening’s event, the Ice Party that was much better, a more convenient venue to start with, it was held at the “The Fox” bar, a short walk from the ExCel centre. The volume level there allowed you to actually chat with people, some decent food was put on for us and the free bar went on for most of the party. A bunch of us then headed over to the Novatel hotel and continued our networking (and drinking) into the early hours of the morning, a very enjoyable evening! So overall I can overlook the somewhat short-lived (for some of us) Breakout Party as all in all, I met lots of great people at this event and had a fun time as well, the Ice Party certainly made up for the previous night’s slight disappointment, so I’m looking back on it quite happily. 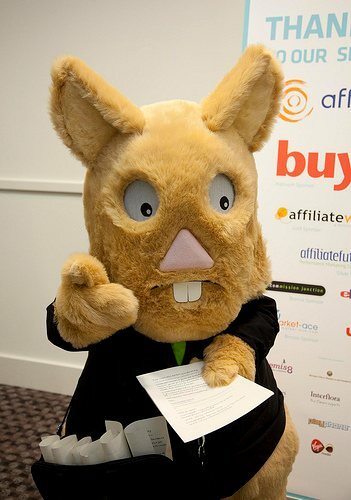 The a4u Expo London 2009 affiliate marketing conference has been a real eye-opener for me (thanks again to Kieron Donoghue for running the competition that gave away a free ticket for this event), I’ve learnt various new things, met some cool new people and come away with new ideas and motivation. It’s definitely something I’ll be attending in future in London and hopefully also the next a4u Expo Europe being held in Munich, Germany! If you’d like to read what other attendees thought of this event, then take a look at the following a4u Expo write-ups (let me if you’ve also written about it and I’ve not seen it yet and I’ll add you to the list).